1) (Earl de la Warr). Quarterly, 1st and 4th, ar. a fess dancettee sa., for West; 2nd and 3rd, gu. a lion ramp. ar. armed and langued az. betw. eight crosses crosslet fitchee in orle of the second, for La Warr. Crest—Out of a ducal coronet or, a griffin’s head az. ears and beak gold. Supporters— Dexter, a wolf cowarded ar. gorged with a plain collar or; sinister, a cockatrice or, shadowed and scaled az. Motto—Jour de nia vie (The day of my life); alluding to the taking of John, King of France, prisoner at the battle of Poietiers. 2) (Iver, co. Bucks, and Westminster). Ar. a fess dancettee, in base a in maunch sa. in chief two estoiles gu. 3) (Masworth, co. Bucks). Ar. on a fess dancettee sa. three leopards’ faces jessant-de-lis or. Crest—Out of a ducal coronet or, a griffin’s head of the last. 4) (cos. Buckingham and Sussex; granted 13 Feb. 1560). Ar. a fess dancettee sa. Crest—Out of a ducal coronet or, a griffin’s head az. beaked and eared of the first. 5) (co. Derby). Ar. on a fess dancettee sa. a mullet or, a border gu. bezantfe. 6) (Mincing Lane, London, and Rotherham, co. York; granted 1634). Ar. a fess dancettee betw. three leopards’ faces sa. Crest—On a crown composed of ears of wheat or, an eagle displ. gu. Another Crest—Out of a mural coronet or, a griffins head ar. charged with a fess dancettee sa. 7) (confirmed 5 Nov. 1633). Erm. a fess dancettee sa. Crest—A griffin’s head erased per fess erm. and gu. on the first a fess dancettee sa. 8) (London). Ar. a fess dancettee sa. betw. three pellets. Crest—Out of a mural crown or, at eagle’s head ar. gorged with a fess dancettee sa. 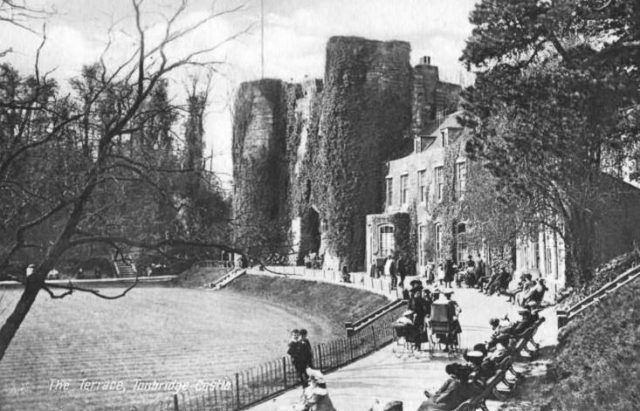 9) (Tonbridge Castle, co. Kent). Ar. a fess dancettee betw. three leopards’ faces sa. Crest—Out of a mural crown a griffin’s head ar. charged with a fess dancettee sa. 10) (Cotton End, co. Northampton). Ar. a fess dancettee sa. a crescent on a crescent for diff. Crest—Out of a ducal coronet or, a griffin’s head az. beaked and eared gold, charged with a fleur-de-lis for diff. 11) (Braywick Lodge, co. Berks). Quarterly, 1st and 4th, ar. a fess dancettee sa. ; 2nd and 3rd, gu. three leopards’ faces jessant-de-lis or. Crest—Out of a ducal coronet or, a griffin’s head az. ears and beak gold. 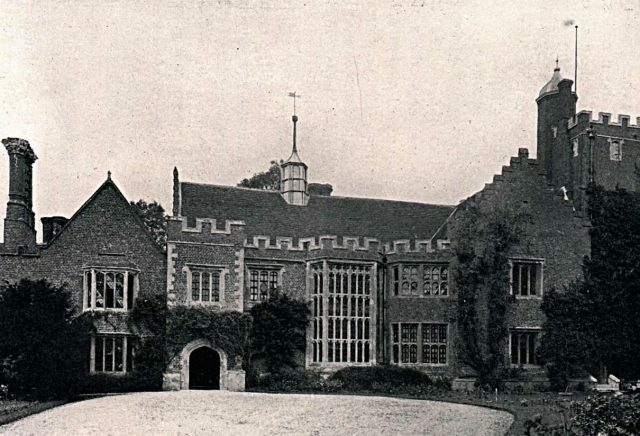 12) (Horham Hall, co. Essex). Quarterly, 1st, ar. a fess dancettee, for West; 2nd, gu. a dexter arm issuant, the hand holding a sword, on its point three crescents interlaced all ppr., for Creuze; 3rd, az. a cross flory ar., for Goldsborough; 4th, gu. a bend betw. three martlets or, for Slaney. 13) (Hampton-Poyle, co Oxford). Erm. a bend indented sa. 14) (Underbank, West Bretton, and Hunshelf, co. York). Ar. a fess dancettee sa. and in chief three leopards’ faces of the last. 15) (Grays, co. Suffolk). Ar. a fess dancettee sa. a border gu. bezantee. 16) (co. Suffolk). Sa. a lion ramp. ar. collared or. 17) (Cliff, co. Sussex). Az. A bend wavy betw. two griffins’ heads erased or. Crest—A griffin’s head erased per pale wavy or and az. 18) (Alscot Park, co. Gloucester). Ar. a fess dancettee pean, for West; 2nd, or, a chev. gu. hetw. three demi lions ramp. sa. langued of the second, for Steavens; 3rd. ar. three pheons sa. and on a chief of the same a greyhound ppr., for Roberts. Crest—Out of a ducal coronet or, a griffins head pean, beaked and eared gold. Motto—Dux vitae ratio. 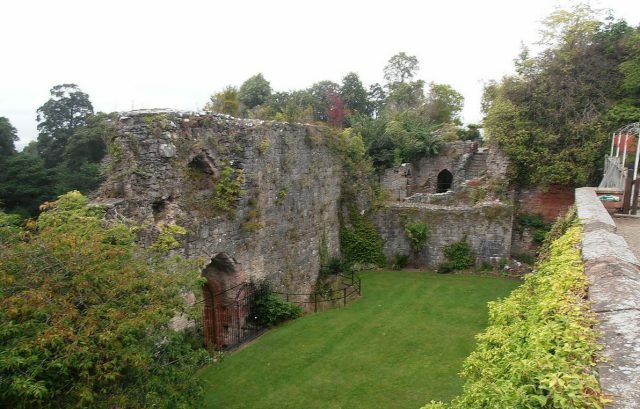 19) (Darley Abbey, co. Derby; borne by Sir William West, grantee of the Abbey in the 32 of Henry VIII). Ar. a fess dancettée betw. three leopards’ faces sa. murally crowned or (sometimes crowned with barons’ coronets or). Crest—A demi griffin vert, sans tail, collared or, holding in the dexter paw a sword of the first. 20) (Ruthyn Castle, co. Denbigh). Ar. a fess dancettée sa. Crest—Out of a ducal coronet or, a griffin’s head az. beaked and eared gold. Motto—Jour de ma vie. 21) Ar. a fess dancettée betw. three crescents sa. 22) Sa. billettée or, a lion ramp. of the last. 23) Erm. on a chief az. three bezants. 24) Quarterly, indented az. and gu. a bend ar. 25) Sa. a chev. betw. three crescents erm. 26) Barry of four vair and gu. on a chief of the last two mullets or. 27) (Ballydugan, co. Down; Fun. Ent. Ulster’s Office, 1686, Roger West, son of Richard West, of that place). Sa. a fess dancettée betw. three leopards’ faces or, a mullet for diff. Crest—Out of a ducal coronet a griffin’s head or. Motto—Jour de ma vie. 28) (Reg. Ulster’s Office). Ar. a lion ramp. sa. ducally crowned or, a border of the second. 29) (Reg. Ulster’s Office). Az. a bend wavy betw. two suns in splendour or. 30) (Reg. Ulster’s Office). Sa. an inescutcheon ar. in chief a lion pass. erm. ducally crowned or. 31) (Reg. Ulster’s Office, to Sir William West, Knt.). Ar. a chev. gu. in dexter chief a rose az. in the sinister another of the second. 32) (Fortwilliam, co. Roscommon; confirmed by Fortescue, Ulster, to James West, Esq., of Fortwilliam). Ar. a fess dancettée betw. three leopards’ faces sa. Crest—A griffin’s head ar. issuing out of a ducal coronet or. Motto— Jour de ma vie. 33) (Sackville-West, Baron Sackville). Quarterly, 1st and 4th, ar. a fesse dancettee sa., for West; 2nd and 3rd, quarterly, or and gu. a bend vair, for Sackville. Crests:—1st, West: Out of a ducal coronet or, a griffin’s head az. beaked and eared gold; 2nd, Sackville: Out of a coronet composed of fleurs-de-lis or, an estoile ar. Supporters—On either side a griffin az. gorged with a ducal coronet or, therefrom pendent on the dexter an escutcheon of the arms of West, and on the sinister an escutcheon of the arms of Sackville. Motto—Jour de ma vie. This is a locational surname meaning “from the West”, denoting a person who had settled eastwards, or a person who had migrated further west, or a person who lived on the western side of a town, parish, or county. The name derives from the Middle English and Middle High German, west, meaning west, the direction. The noble family (Earl Delawarr) traces back to the reign of King Edward II (1154-1189 AD) and spelled the name De West, the name deriving from the fact that they held extensive lands in the west of England. The family was first found in Devon, England. George Fraser Black’s 1946 book The Surnames of Scotland, states the following in regard to this last name: “A common surname in Garnrie (Turriff), and also found in Perthshire and West Lothian. Janet Wast in Biggar, 1670, and Isobel West in Little Dunkeld (Dunkeld). Pension was paid to Margaret. Waste, relict of Robert Cruizean, late deacon of the cordiners, 1723”. Common spelling variants or names with similar etymologies include Weste. Similar foreign names include Vestarr (Norse). The last name West ranks 115th in popularity in the United Status as of the 2000 Census. The name ranks particularly high in the following six states: Georgia, Delaware, Oklahoma, Missouri, Tennessee, and Arkansas. The surname West frequency/commonness ranks as follows in the British Isles: England (111th), Scotland (269th), Wales (198th), Ireland (1,085th) and Northern Ireland (577th). In England, it ranks highest in counties Buckinghamshire, Sussex, and Kent. In Scotland, the West surname rankest highest in Banffshire. In Wales, it ranks highest in Monmouthshire. In Ireland, it ranks highest in Cavan. In Northern Ireland, it ranks highest in county Fermanagh. The name is also present throughout the remainder English speaking world: Canada (364th), New Zealand (152nd), Australia (131st), and South Africa (635th). The 1890 book Homes of Family Names by H.B. Guppy, states the following in regard to this surname: “This name is scattered about in different parts of England, both in the west and in the east, and its distribution gives only a slight support to the suggestion that it was originally given to persons who came from the west. At all events, such an explanation can scarcely apply to the Wests of Cornwall. It is, however, noticeable that the counties in which the name is perhaps best represented, namely, Lincolnshire, Norfolk, Northamptonshire, and Sussex, occur in the eastern half of England”. The earliest known bearer of this surname was Maurice de West who was documented in the Pipe Rolls of Essex in 1152 AD. Goche West was recorded in the Pipe Rolls of Norfolk in 1197 AD. William del West was documented in the Select Pleas of Essex in 1292 AD. The Hundred Rolls of 1273 AD, a census of Wales and England, known in Latin as Rotuli Hundredorum lists two bearers of this surname: Algar West (county Oxfordshire) and Albricus West (county Cambridgeshire). The Poll Tax of Yorkshire in 1379 AD lists three bearer of this last name: Robert del West, Magota del West, and Richardus del West. Richard Weste, of county Devon, was recorded in the Register of the University Oxford in 1575 AD. A one Joane, daughter of Michaell Weste, was buried at St. James Clerkenwell in 1615. 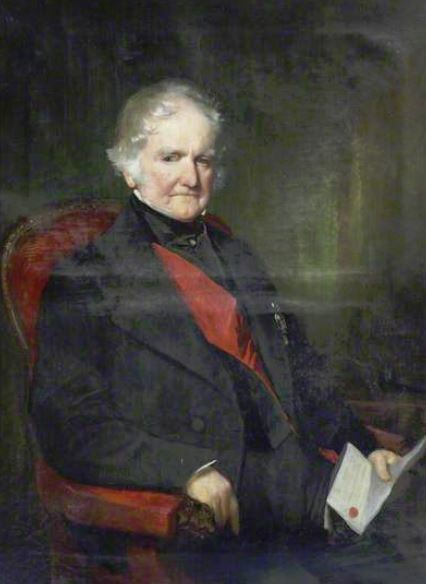 James Roberts-West, Esquire of Alscot Park, county Gloucester, was Justice of the Peace and High Sheriff who was born in 1811. 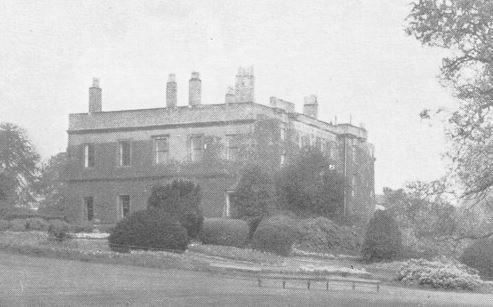 In 1844, he married Elizabeth, daughter of Joseph Moore Boultbee of Springfield House near Knowle, and had three children with her: James (Lieutenant Royal Naval Reserve and in 1869 married Louisa Alston and had issue), Leonard, and Elizabeth Anne. This branch of the West family tree traces back to the Honorable Leonard West, son of Thomas, Lord De la Warr and his wife Eleanor Copley, who married Barbara, daughter of Sir William Gascoigne or Gawthorpe, and had issue with her including Mary (married Ralph Vavasor of Haslewood), Margaret (married Thomas Brown of Westwood), two other daughters, and four sons. His youngest son was John West, Esquire who resided at Banbury, county Oxford. John married Mary Throckmorton, and he had a wson named Aholiar. 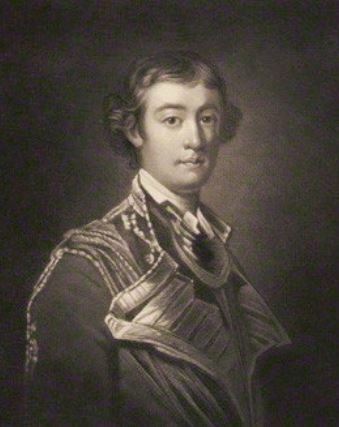 Aholiar was an Esquire who married Elizabeth Preston, grand daughter of Thomas Preston, Master of Trinity Hall, and he had a son named Richard. This Richard West, Esq. married Elizabeth, daughter and co-heir of James Hill of Hillmorton in Warwick, and had the following sons with her: James, John, Richard, and Aholiab. 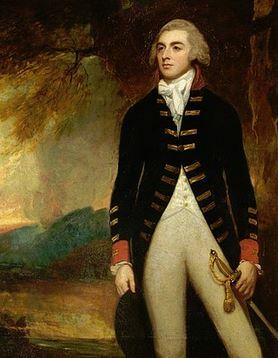 The third son Richard was an Esquire of Priors Marston married Mary Russell, of the Russells of Strensham, and was the father of James West, Esquire of Alscot in county Warwick. James was a Member of Parliament for St. Albans and the Secretary of the Treasury in 1741, as well as President of the Royal Scoiety, Recorder of Poole, and High Steward of St. Albans. In 1738, he married Sarah, daughter of Sir Thomas Steavens, of Eltham, Kent, and had the following children with her: James (heir), Sarah (married Andrew, Lord Archer), and Henrietta. He died in 1772 and was succeeded by his only son James West, Esq. of Alscot who was born in 1742. In 1774, James married Sarah, daughter of Christopher Wren of Wroxhall Abbey, and had a son and successor with her, also names James. 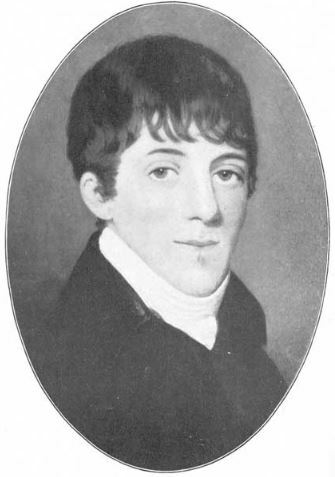 This James West was born in 1775 and he married Anne, in 1808, who was the only daughter and heir of the late Joseph Roberts, Esq. of Newcombe, county Gloucesters, and assumed the additional surname and arms of Roberts, and had three issue with her: James (mentioned at the beginning of this paragraph), Philip Joseph (born 1812, married and had issue including Philip Alfred and Charles Robert), and Henrietta Anne. He died in 1838. The West Coat of Arms (often mistakenly referred to as the West Family Crest) has the following blazon in heraldry: Argent, a fess dancette pean, for West; 2nd, or, a chevron gules between three demi-lions rampant sable, langued of the second, for Steavens; 3rd, argent three pheons sable on a chief of the same a greyhound proper, for Roberts. Crest: A griffin’s head pean, issuing out of a ducal coronet or. Motto: Dux vita ratio. 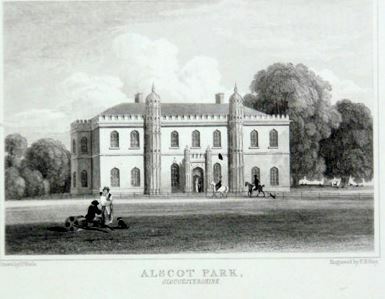 They were seated at Alscot Park, Stratford-on-Avon. William Cornwallis West was an Esquire of Ruthin Castle, county Denbigh, Wales, who was Justice of the Peace and Deputy Lieutenant, as well as Lord Lieutenant and Custos Rotolorum of county Wenleigh, as well as High Sheriff in 1872, and Major of the Denbighshire Rifle Volunteers, who was born in March of 1835. In 1872, he married Mary, daughter of Reverend Frederick Fitzpatrick, Rector of Cloone, and Lady Olivia , with whom he had two issue: George Frederick Myddelton and Mary Theresa Olivia. The West genealogy traces back to the Honorable Frederick West who was born in 1767, the son of John (2nd Earl De la Warr) and Mary Wynward, who in 1792, married Charlotte, daughter and co-heir of Richard Mitchell of Culham Court, with whom he had a daughter named Charlotte Louisa. He later married Maria, daughter and co-heir of the late Richard Myddleton of Chirk Castle, county Denbigh, and had a son with her named Frederick. This Frederick Richard West was an Esquire of Ruthin Castle, county Denbigh, was born in 1799, and in 1820, married Lady Georgiana Stanhope, daughter of William Philip, 5th Earl of Chesterfield, and became a widower in 1824. He later married Theresa, daughter of John Whitby, and had the following issue with her: Frederick Myddleton (7th Dragoons, born 1830), William Cornwallis (mentioned at the beginning of this paragraph), Georgiana Theresa Ellis (married Warren Peacocke, Esq. of Efford Park), Florence, and Theresa Lucy Sophia Elphinstone. The West Coat of Arms (erroneously called the West Family Crest) was blazoned in heraldry as follows: Argent, a fess dancettee sable, quartering Middleton of Kirkcastle. Crests: Quarterly, with Myddelton, out of a ducal coronet or, a griffin’s head azure beaked and eared gold. Motto: Jour de ma vie. 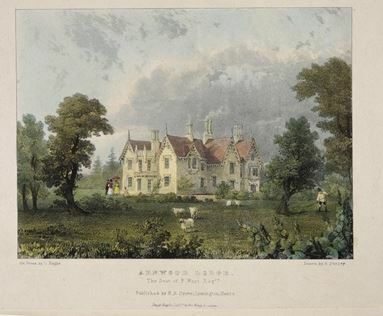 Arnewood Lodge, Sway, Hampshire, seat of Frederick Richard West Esq. Reverend George West was of Horham Hall, county Essex, who was a Justice of the Peace born in 1830. 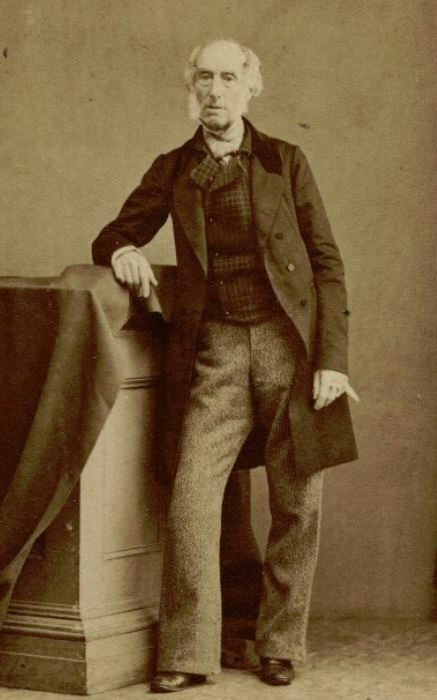 In 1861, he married Marianne Thorp, daughter of William Dickson, and had the following seven issue with her: Francis George, William Goldsborough, George, Charles Crewze, Frances Sarah, Catherine Helena, and Ethel Grace Thorp. The West ancestry or West lineage of this branch of the West family tree traces back to Thomas West, considered to have descended from the ancient West family who were Lords de la Warr of Ash, who has a son, also named Thomas, born in 1606. Thomas in turn had a son named Rowland, who in turn had a son, also named Rowland, who was born in 1653 and married Mary Draper in 1674, having a son with her named Rowland. This Rowland West was born in 1675 and in 1703, he married Anne, daughter of Sir Henry Browne, and had a son with her named John. John West of Ash was born in 1704 and in 1730 he married Sarah Jarratt, and had a son with her named George. George was born in 1734 and he married twice. His first wife was Mary, daughter and co-heir of George Novell, and had the following issue with her: Sarah and George. He later married Anne, daughter of John Knowles, and had two sons with her: John (married Harriett Atkinson) and William (married twice and had issue). The only son from the first marriage, Reverend George West, Rector of Stoke-next-Guilford, was born in 1768. In 1797, he married Sarah, daughter of Francis Creuze, and had issue with her, including an only son named Francis George West, of Horham Hall, a Justice of the Peace and Deputy Lieutenant born in 1805. In 1830, Francis married Frances, daughter of James Green, and had five children with her: George (mentioned at the beginning of this paragraph), Frances (married William Dickson), Emily Sarah (married Reverend William Tudor Thorp), Emma Caroline (married Reverend J.J. Roumien), and Mary Elizabeth. The West Coat of Arms (erroneously called the West Family Crest) was blazoned in heraldry as follows: Quarterly: 1st, argent, a fess dancettee, for West; 2nd, gules, a dexter arm issuant, the hand holding a sword, on its point three crescents interlaced all proper, for Creuze; 3rd, azure, a cross flory argent, for Goldsborough; 4th, gules, a bend between three marlets or, for Slaney. They were seated at Horham Hall, Thaxted, county Essex, England. Thomas West was born in Swallowcliffe, Wiltshire, around 1249 AD. He had a son named Thomas, known as Sir Thomas West or Lord West, who was born in Tisbury, England. He married Eleanor Cantilupe, and they had a son named Thomas. This Thomas was born in Oakhanger, Hampshire, around 1322, and he married Alice FitzHerbert, with whom he had a son, also named Thomas. This Thomas, also called 1st Lord West, was born in England around 1365. He married Joan Warre and had two children with her: Joan (Bere) and Regiland. His son, Sir Reginald, the 6th Baron de la Warr, 3rd Baron West or de West, was born in Snitterfield, Warwickshire, in 1395 AD. He married Margery Thorley and later Elizabeth (Greyndour) Tiptoft, and had the following issue with her: Elizabeth Berkeley, Margaret Echingham, Mary Lewknor, Richard, and Anne. His son Sir Richard West was born in Harworth, Nottinghamshire in 1430. He married Katherine (Hungerford) Leventhorpe, and had a son with her named Thomas. This son, Sir Thomas, was 8th Lord la Warre and 5th Lord West, who was born in 1457 in Offington, Sussex. He married Eleanor Copley, Eleanor West, and Elizabeth Mortimer, and had the following children: Anne, Dorothy, Elizabeth, Leonard, George, Eleanor, Owen, and Barbara. His son Sir George West was born in England around 1495 and he married Elizabeth Morton, fathering three issue with her: William, Thomas, and Margaret. 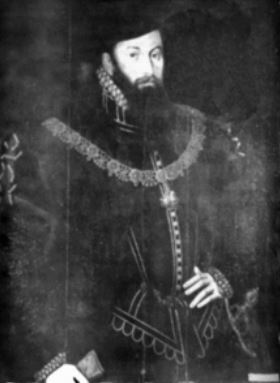 His son, Sir William West, Lord Delaware, was born in Sussex in 1520. He married Elizabeth Strange and had three issue with her: Elizabeth, Thomas, and Jane (Sheldon). His son Sir Thomas West, 2nd Lord de La Warr, was born in Halnaker, Sussex in 1557 AD. He married Anne Knollys and had numerous issue with her: Elizabeth, Elizabeth, Thomas, Lettice, Anne, Penelope, Francis, John I, and Nathaniel. His son John West I, was born in Hampshire, England in 1590. John I came to Virginia in 1618 and was a member of the House of Burgesses. He owned 3,300 acres of land on the York River, which eventually became to modern day town of West Point. He served as the Governor of Virginia. He married Anne Percy in 1613 and later Anne Claiborne in 1639, having a son named John West II, who was born in Chicksack Bellfield Plantation, in Virginia. 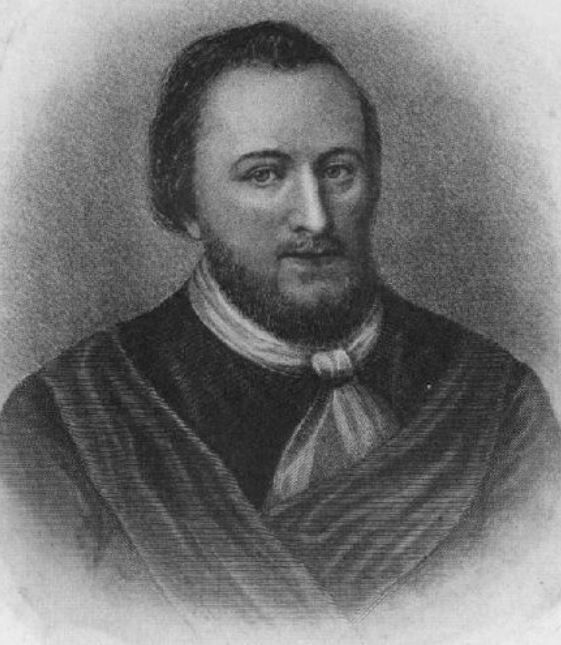 He married Ursula Unity Croshaw and Cockacoeske Powhatan and had the following children: John, Nathaniel, Anne, Ursula Unity, Josiah John, Jane, Thomas, and John III. His son Captain John Powhatan, previously West, was born in New Kent in 1650. He had a son named Richard West who was born in 1739. This Richard in turn had a son named Rev. William who was born in Virginia in 1752. William married Angeline Clendenned and had a son with her named John M. This John M. West was born in Chatham, North Carolina in 1784, and he married Lavinia Jane Howard and had five children with her: Ophelia Quine, John T., Odelia, Mirton Tilghman, and Marion Newton Rector. His son Mirton Tilghman or Tillman West was born in Fayetteville, Arkansas, in 1836 and he married Mary Emeline Bailey, having the following children: John Q., Martha Louise, John Francis, Miron Richard, Mary Francis, Marion Tilhman, George B., and Randolph Mills. He passed away in Van Buren, AK in 1915. Captain Francis West came to Virginia at the age of 36 in 1610 aboard the Mary Ann Margett. Mrs. Francis West, a widow, came to Virginia aboard the Supply in 1620. Anthony West came to Virginia aboard the James in 1622. John West came to Virginia aboard the Bonybess around 1624. Joseph West, age 30, came to Virginia aboard the Speedwell of London in May 1635. Thomas West, age 17, came to Bermuda aboard the Truelove of London in June 1635. Joseph West, age 11, came to New England aboard the Abigall in June 1635. Richard West, age 21, came to Virginia aboard the Primrose in July 1635. Twiford West, age 19, came to New England aboard the Hopewell in September 1635. Nathaniell West, age 15, came to Bermuda aboard the Dorst in September 1635. Francis West was recorded as living in Virginia (at the West and Sherlow hundred Iland) in February 1623. Anthony and John West were also recorded in Virginia that month. Captain Nathaniel West and Henry West were recorded as deceased in the state in 1623. John, son of Thomas and Jane West, was baptized in June 1679 in the province of St. Michael’s, Barbados. Other early settlers in colonial America bearing this surname include Grace West (Virginia 1636), Dorcas West (Virginia 1701), Giles and Anne West (Virginia 1719), Caspar West (Pennsylvania 1740), and Charles West (Philadelphia 1745). In Canada, one of the first bearers was James West, a United Empire Loyalist (someone from America who didn’t support the Revolution and remained loyal to the Crown), who came to Bell Vue, New Brunswick in 1783 aboard the Cyrus. In Australia, one of the first bearers was John West, a convict from Dorset, England who was transported aboard the Ann in 1809 and settled in New South Wales (then a penal colony). In New Zealand, one of the first bearers of this last name was Joseph West, who arrived in Auckland in 1840, as well as Daniel West, aged 16, a farm laborer who came to the city of Wellington in the same year aboard the Martha Ridgeway. Charles Bolton’s American Armory (1927) contains one entry for this surname: Argent on a fess dancettée sable 3 leopards’ faces jessant de lis. Tomb of Major Charles West at Onancock, Accomac Co., Va. He d. 28 Feb , 1757. Va. Hist. Mag., vol. 2, p. 434. Crozier’s General Armory (1904) contains one entry for this name: Anthony West, Virginia, 1622. Argent, on a fesse dancettee sable three leopards’ faces jessant-de-lis or. 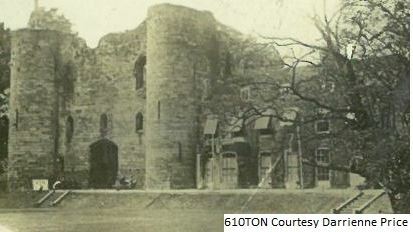 Matthew’s American Armoury (1907) and Bluebook contains one entry for this name: Robert West of Providence, Rhode Island, 1645, Monmouth New Jersey, 1667, a cadet of the family of West, Lords De La Warr. Arms: Quarterly, 1st and 4th, argent, a fesse dancettee sable; 2nd and 3rd; gules, three leopard’s faces reversed jessant-de-lis or. *An allusion to the taking of King John of France as prisoner at the battle of Poietiers. This motto was assumed by Roger de la Warre in commemoration of this capture in 1356, for which he received, as a badge of honor, a crampet, or chape of the sword, granted to him by King Edward III. 3) West after Sackville, George John, Earl de la Warr, of county Sussex. There are hundreds of notable people with the West surname. This page will mention a handful. Famous people with this last name include: 1) Allen Bernard West (1961) who is a retired U.S. Army Lieutenant Colonel who served in both Iraq Wars and was also a member of the U.S. House of Representatives from Florida, 2) Kayne West (1977) an African-American rapper who was born in Atlanta George, 3) Adam West, born as William West Anderson (1928-2017) who was an American actor from Walla Walla, Washington who was best role of Batman in the 1960s TV show and feature film, 4) Absolom Madden West (1818-1894) who was an American farmer, Confederate militia General, Mississippi State Senator, and railroad president and organized born in Alabama who became President of the Mississippi Central Railroad, 5) Nicholas West (1461-1533) who was an English bishop and diplomatist born at Putney and educated at Eton who became a fellow at King’s College in Cambridgeshire, 6) Mark Andre West (1960) who was an American professional basketball player who played for nine different NBA teams from 182-2000 (ex. Dallas Mavericks, Cleveland Cavaliers, and the Phoenix Suns), 7) John West (1756-1817) who was a mathematician and present born in Logie,Fife, 8) Lieutenant General John West, 1st Earl De La Warr, who was a British soldier, courtier, and politican who was Royal Governor of New Jersey, Colonial Governor of New York, and Governor of Gravesend and Tilbury, 9) John West (1590-1659) who was the acting colonial Governor of Virginia from 1635-1637, 10) Lieutenant-Colonel John West Jr. (1632-1691) who was of West Point and was of New Kent Militia in in Virginia and a representative in the House of Burgesses, and 11) Dottie West, born as Dorothy Marie Marsh (1932-1991) who was an American county music singer and songwriter born in Smithville, Tennessee. Two main symbols in the West Coat of Arms (mistakenly called the West Family Crest) are the fess dancettee and leopard’s face/head. The fesse is a broad horizontal band across the centre of the shield, in very ancient times it was said to occupy one third of the area height of the shield, however it soon became somewhat narrower. This created an opportunity to add decorative edging to the band, of many forms, and to very pleasing artisitic effect, at least close up – it must be admitted that at distance some of the forms are hard to distinguish! Dancettee (sometimes spelled dancetty or dancy) is a bold, zig-zag pattern, perhaps the most distinctive of the patterned edges. Purists might argue that the French variant denché Is not the same, being of larger size and with the points being 90º, but there is much variation in actual practice so the difference is perhaps not that meaningful. The main tincture (color) in the arms is sable (black), which signifies, grief, constancy, wisdom, and prudence.